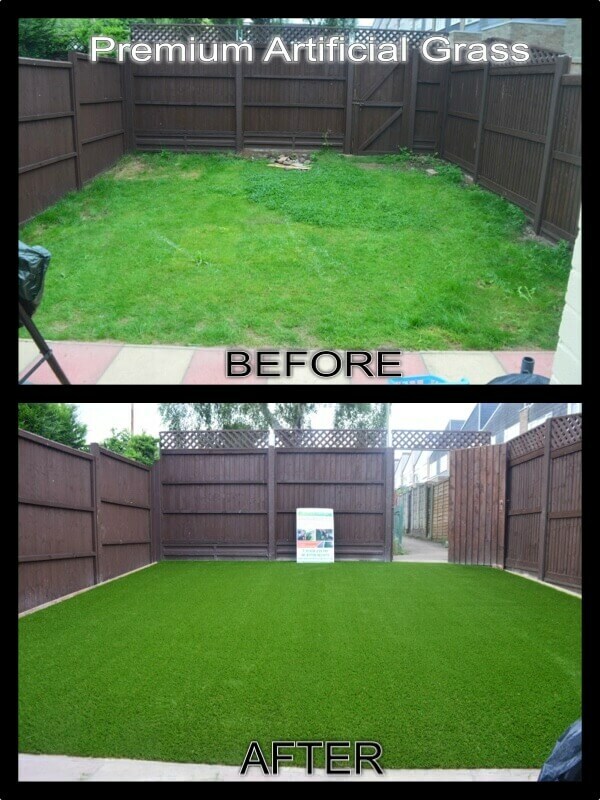 Artificial Grass Installation in Hemel Hempstead, before and after photos. Our client wanted their garden to have a complete make over which consisted of us installing a quality artificial grass, a curved path and a patio. Watch the time-lapse video below to see how team PAG carried out this transformation. 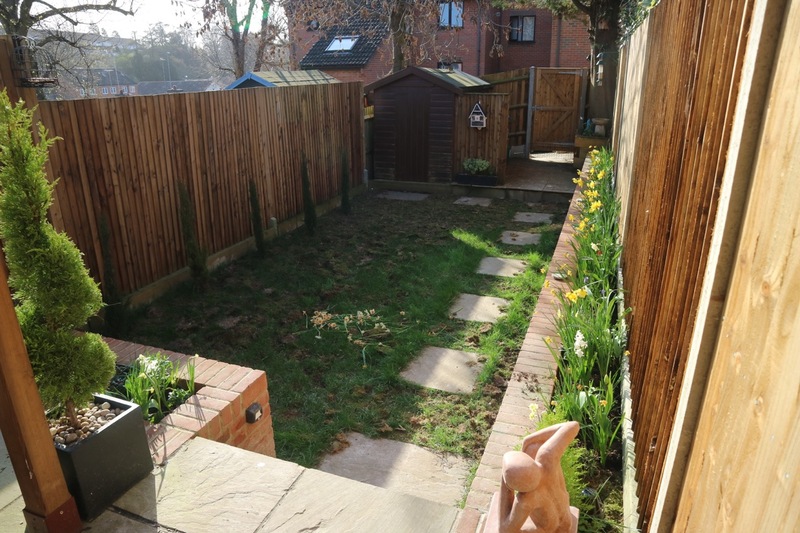 The finished garden looks amazing and is a low maintenance, hassle free option. For more information on how Premium Artificial Grass can transform your garden please send us a message by clicking here or call 01438 215787. 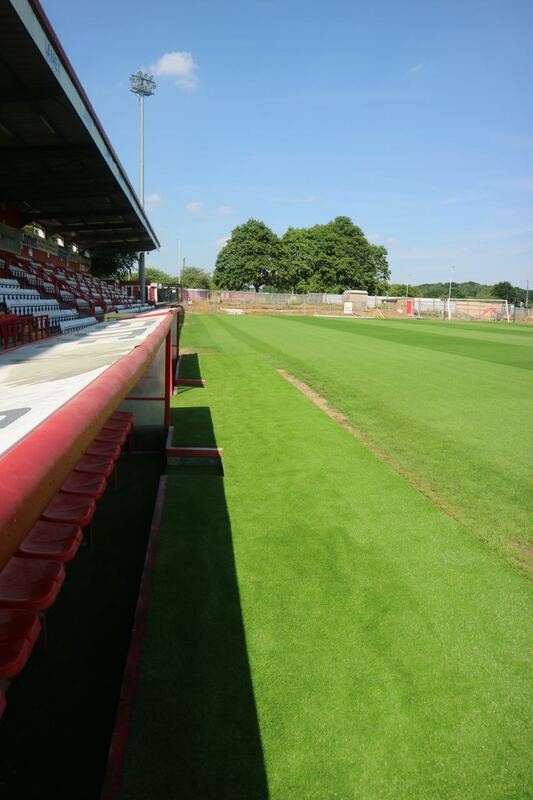 Premium Artificial Grass have undertaken a project to replace the old natural lawn at a football club with artificial grass. Watch the video below to see how we did it and the fantastic finished project! 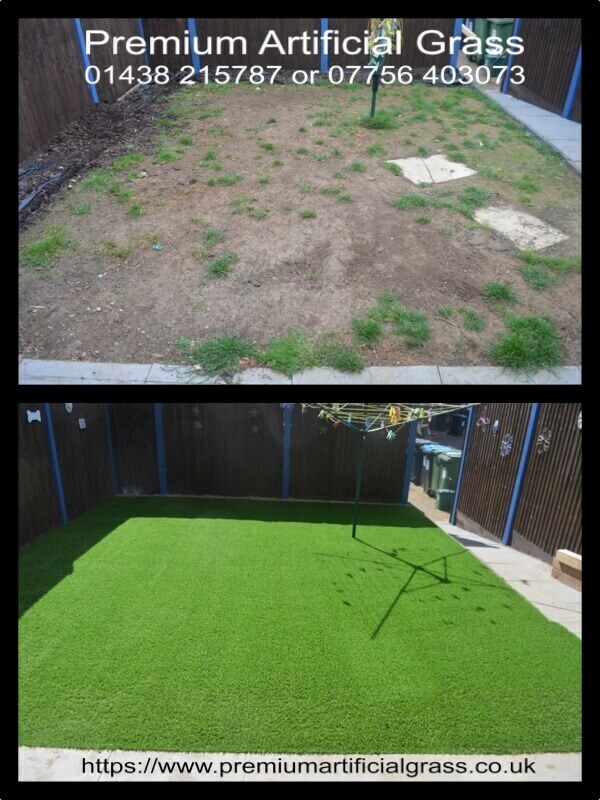 A before and after photo of a garden in Stevenage, Hertfordshire where Team PAG supplied and installed artificial grass. You will see the transformation is amazing! The garden now has a lawn which is green and lush and will look beautiful 365 days a year with very little maintenance. 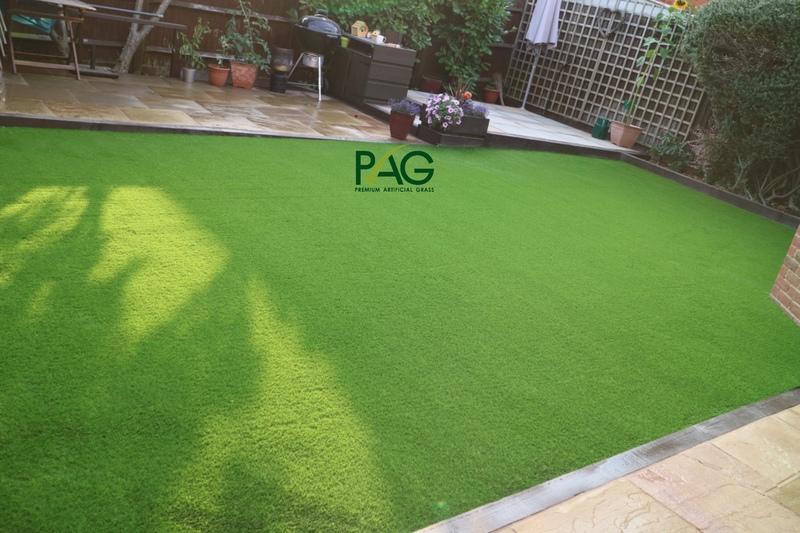 Team PAG has a vast knowledge of both supplying the highest quality artificial grass and the best artificial lawn installation method (in our opinion and experience)! If you want to find out more about artificial grass or to arrange a FREE no obligation quote please click here. Looking for that perfect lawn, without all the hassle, time, and constant maintenance? Do you want a lawn that simply looks stunning no matter what the weather, season or amount of use? 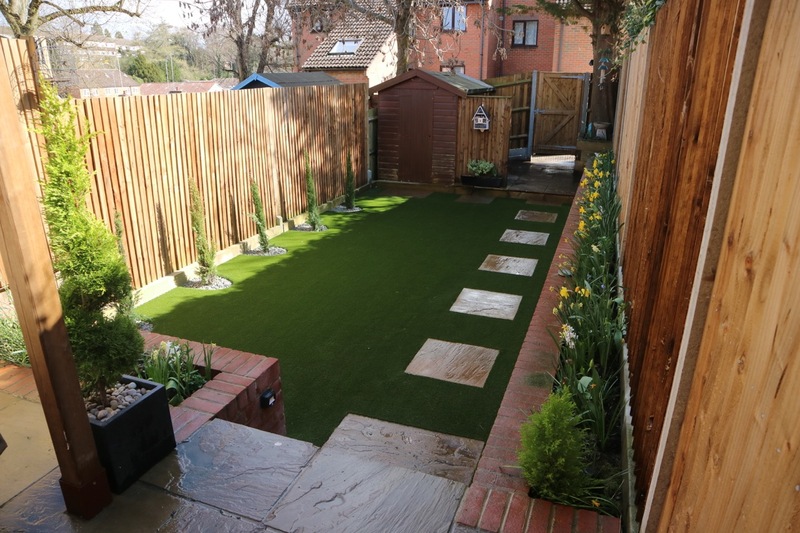 Here at Premium Artificial Grass Cambridge, we create perfect lawns for your front or back garden, complementing your property and providing a beautiful space to relax, play, and enjoy all year round. We’ve invested heavily in our range of synthetic grasses to ensure that every blade mimics the characteristics of a real blade of grass and each lawn looks almost indistinguishable from a pristine palatial lawn. The range of artificial grass Cambridge residents can choose from is varied, all designed with different style and use in mind, and all backed by a 10-year UV warranty. With basic care, your hardwearing, premium artificial grass lawn will remain looking pristine for up to 25 years. - All backed by our premium geotextile membrane that’s strong, breathable, and will last the lifetime of the grass. It’s a range of artificial grass Cambridge is going crazy for, so whether you’re looking to reduce garden maintenance, create a space for your kids, or just want a beautiful lawn all year round, enquire with us and we’ll create the lawn of your dreams. Will I have to maintain my artificial grass? Like anything you value, artificial grass needs a little care every now and again to keep it looking pristine. In Autumn it’s always a good idea to remove any leaves that blow onto the lawn as they create the perfect conditions for moss growth. In Spring and Summer, a simple brush now and again will stop the fibres flattening and keep your lawn looking perfect. Beyond that, pulling the odd weed that manages to take hold and sanitising any pet usage areas is about as high-maintenance as it gets. At Premium Artificial Grass Cambridge, we offer a range of maintenance packages, including power washes, sand infills, power brushing and additional weed control. To find out more about these and to discover which lawn is right for your property, call us now on 01438 21587 or enquire online. 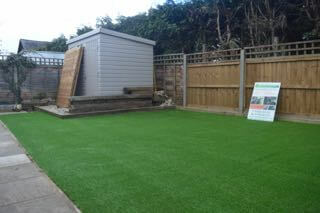 Stevenage Artificial Grass Installers and Suppliers. 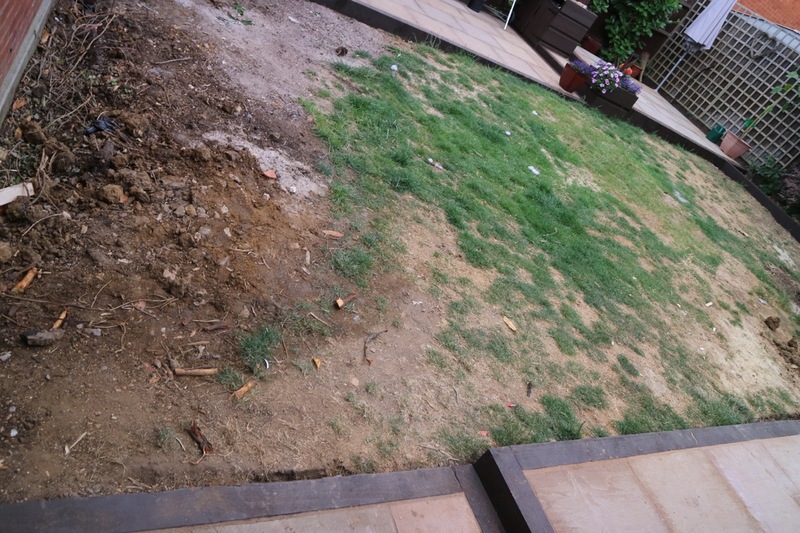 Below is a before and after photo of a back garden in Stevenage, Hertfordshire where we professionally installed artificial lawn. Our client wanted a low maintenance option for the lawn as the natural lawn was muddy and patchy (as you can see in the 1st photo). The perfect solution was artificial lawn as its green, lush, looks realistic and beautiful 365 days a year with minimal looking after. We also supply artificial grass to both the end user and landscapers. 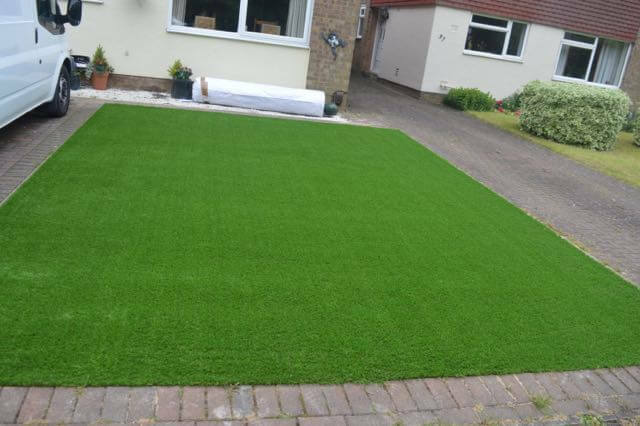 If you would like to find out more about artificial lawn in Stevenage or would like to purchase artificial lawn for you to install yourself please use the contact us form or call 01438 215787. This is a time-lapse video of Artificial Turf being professionally installed by us. Here at Premium Artificial Grass we pride ourselves on what we believe is the best quality Artificial Turf on the market. We supply to both our clients and landscapers. All our projects come with a 100% satisfaction guarantee. We are based in Stevenage Hertfordshire and cover the surrounding areas as far as Cambridgeshire. To find out more of to arrange a FREE no obligation quote please use our contact us form where one of our artificial grass team will be happy to help. 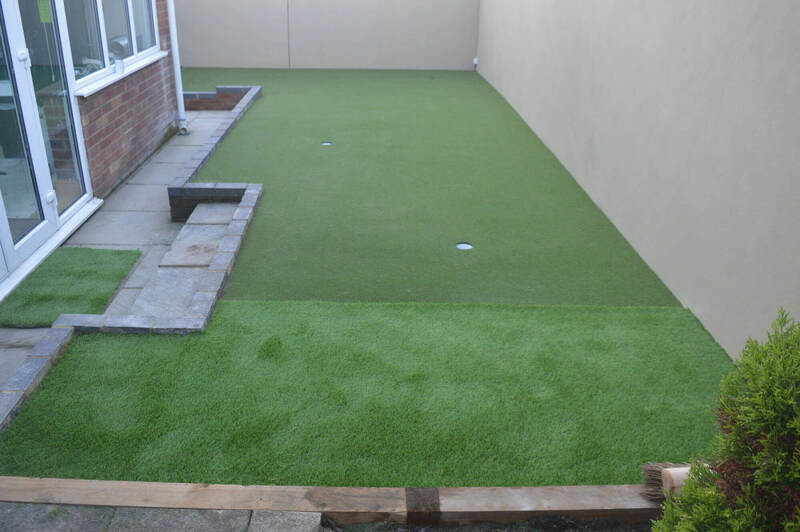 Artificial Grass Putting Green Installation. Synthetic Grass Stevenage Installation Video. Please fill out the contact us form and we will be happy to answer any questions you have and arrange a FREE no obligation quote. A recent artificial grass installation project in Stevenage, Hertfordshire where we supplied and installed premium artificial grass. For more information please fill out the contact us page or call 01438 215787. If you're looking for Quality Artificial Grass in Stotfold, Bedfordshire to be supplied and installed then watch the video and see how we professionally install and supply artificial lawn to this garden in Stotfold, Bedfordshire. Visit https://www.premiumartificialgrass.co.uk, call 215787 or fill out the contact us form for a FREE no obligation quote. Are you looking for a Professional Artificial Grass installation service from a trusted and experienced company to install Artificial Grass in Hatfield, Hertfordshire? Then you've found the right company! Premium Artificial Grass are a family run business who have a wealth of knowledge and years of experience in the Artificial Lawn industry and pride ourselves on the quality products we supply and the fantastic customer service we offer. 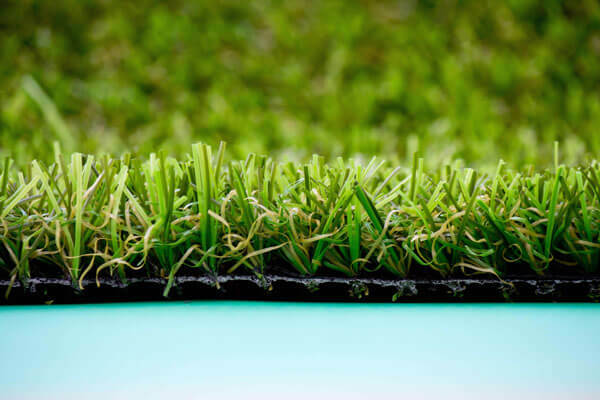 The Artificial Turf we supply is what we believe to be the very best on the market. 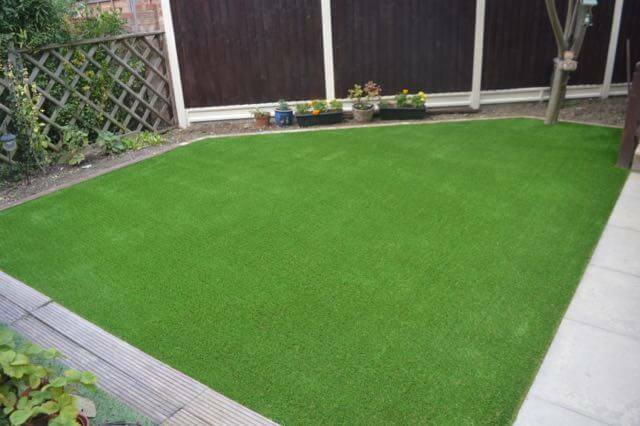 Our Artificial Grass looks attractive, realistic and is soft under foot. If your tired of having a muddy, brown lawn which takes time to maintain and still looks less than perfect then why not enjoy a beautiful artificial lawn all year round which is both flawless and almost maintenance free. Free yourself from mowing, hoeing, raking, seeding, weeding and watering and have lots more time to enjoy the things you want to do and relax in your garden with a lush green lawn. All of our Artificial Lawn is pet and child friendly. One of the first questions we are asked by pet owners is "is the grass pet friendly?' Many of our clients have pets and ask how they will react to the new surface. The answer is they will be fine - dogs treat artificial grass no differently to natural turf or grass, In fact we have undertaken countless Premium Artificial Grass jobs for pet owners.........its great for pets! 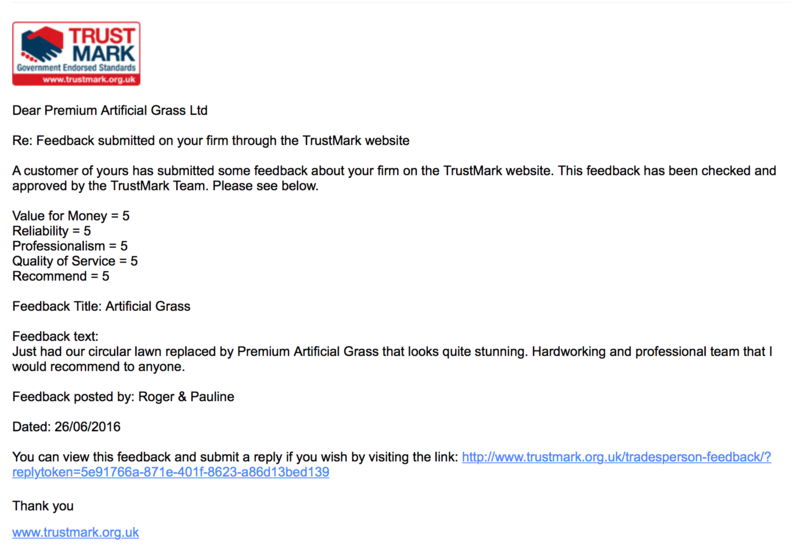 Premium Artificial Grass are proud members of Which Trusted Traders, Trustatrader, Checkatrader, HTA, APL and the government backed TrustMark scheme and offer a 100% satisfaction guarantee on all installation work we undertake for your complete peace of mind. If you would like to find out more or have any questions about Artificial Grass in Hatfield, Hertfordshire then please call 01438 21787 or fill in the contact us form and one of our team will get back to you. 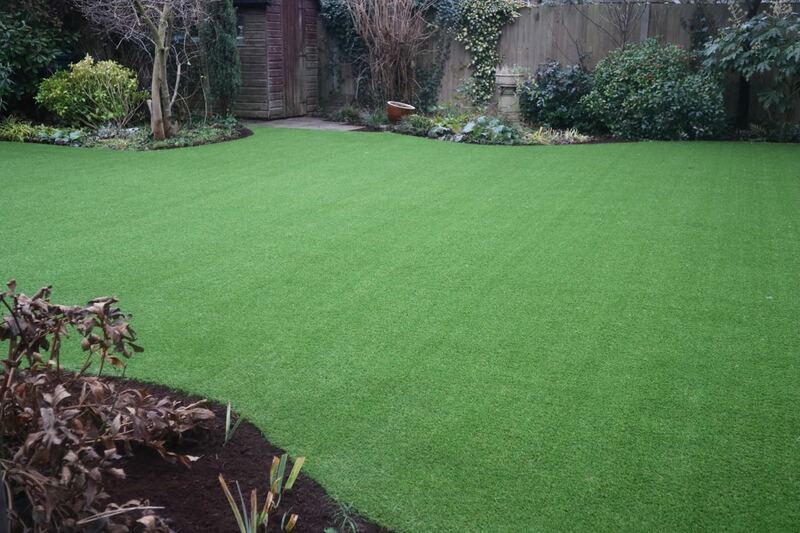 Watch how we professionally install artificial lawn to a garden in Welwyn Garden City. If you're looking for artificial grass installers in Welwyn Garden City then you've come to the right company! Premium Artificial Grass supply what we to believe the best artificial lawn on the market and pride ourselves on the excellent customer service we offer. 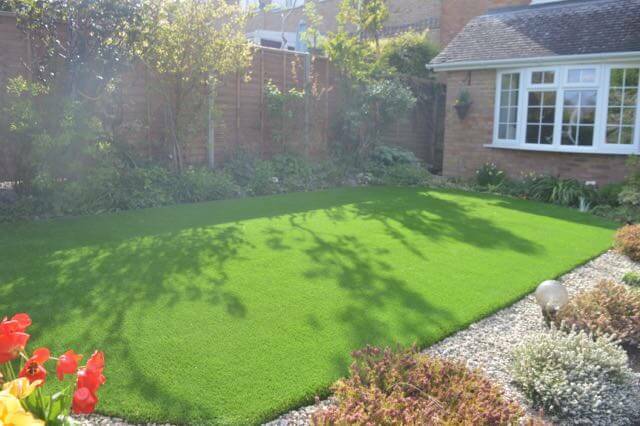 If you want to find out more about artificial lawn in Welwyn Garden City then please visit https://www.premiumartificialgrass.co.uk, fill out our contact us form or call 01438 215787 to arrange a FREE no obligation quote. 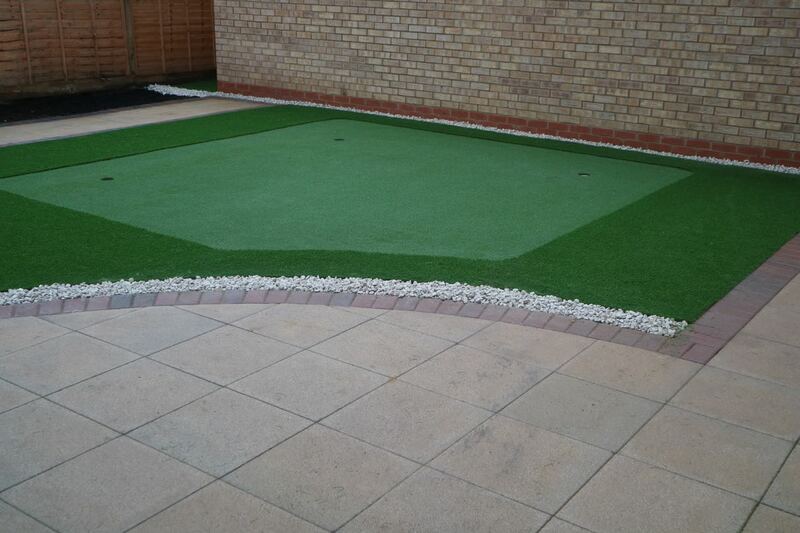 A video to show an Artificial Grass Putting Green being installed in Stevenage, Hertfordshire. Artificial Grass Stevenage Suppliers and Installers - Premium Artificial Grass. Artificial Lawn Installers Hertford. A video to show Premium Artificial Grass professionally installing Artificial Lawn. 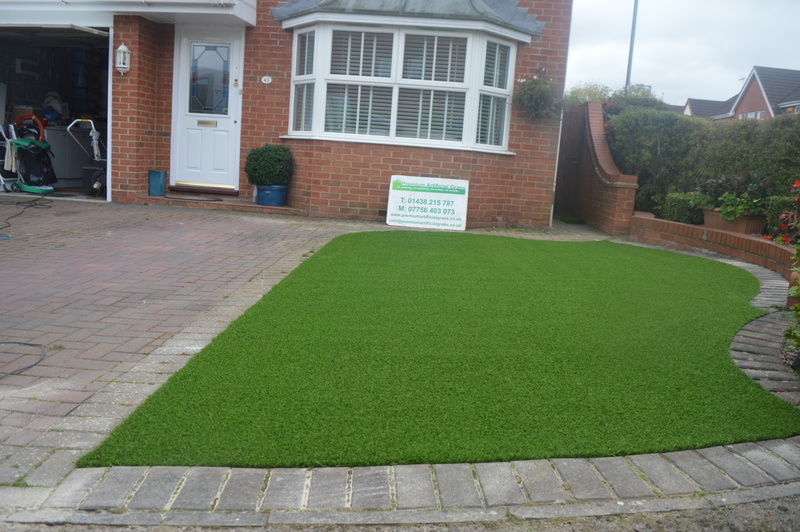 Artificial Lawn Installers Stevenage - Premium Artificial Grass. See the video below to see how we professional install Artificial Lawn in Stevenage. Artificial Grass Letchworth Garden City installation video - watch how we transform the old lawn to a lush, green low maintenance lawn. 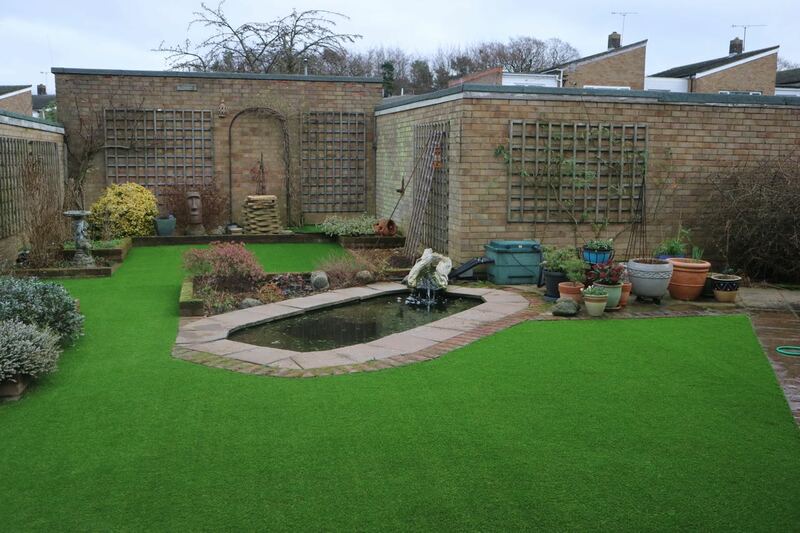 A video to show a garden in Stevenage where we installed and supplied Premium Artificial Grass. The video captures the process involved in installing artificial lawn and the finished garden which looks totally amazing. 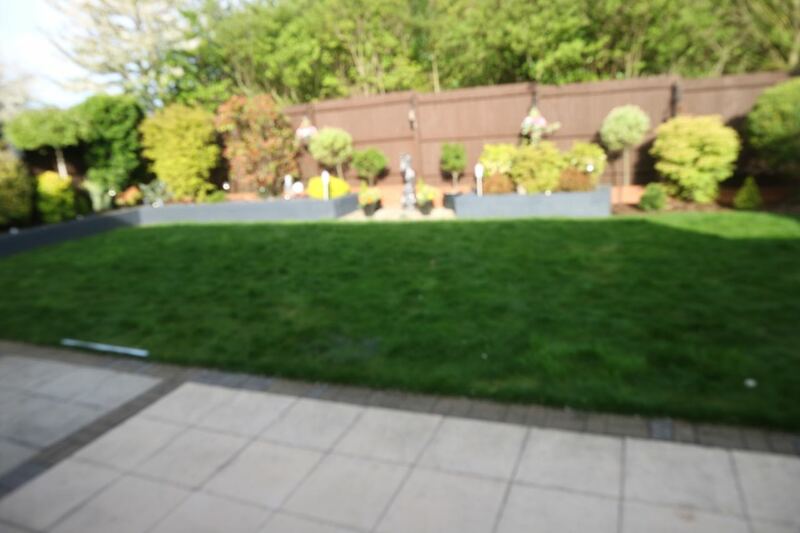 A video of professionally installing artificial lawn in Henlow.........click continue to see the finished garden - it look amazing! There are a lot of people out there who want their gardens to be a lovely, relaxing outdoor area to enjoy with family and friends, but unfortunately, they don't often have green fingers or the time to do this. If you're fed up of weeding and mowing the lawn and can't figure out how to stop your grass looking muddy & patchy, then it might be time to change to an artificial lawn. The cost of having a garden is often not realised because outgoings can vary. Buying a lawn mower, buying fertiliser, buying weedkiller and all the water used on top of your daily household usage add up over time, and before you know it, your garden is costing you a fortune and you don't even have the green lush lawn you want. More than that, those hours spent working on an unresponsive lawn and the neighbours cats spraying in the same place for all those years has taken its toll. These are hours you can't get back, but you can put a stop to this by investing in a fake lawn. Dependant on the size of your garden, your new garden could end up saving you money over the next year, two years, five years, and beyond. On top of that, you'll have more time to enjoy it, too, as our fake lawns are low maintenance. The real saving in having artificial grass is your time! 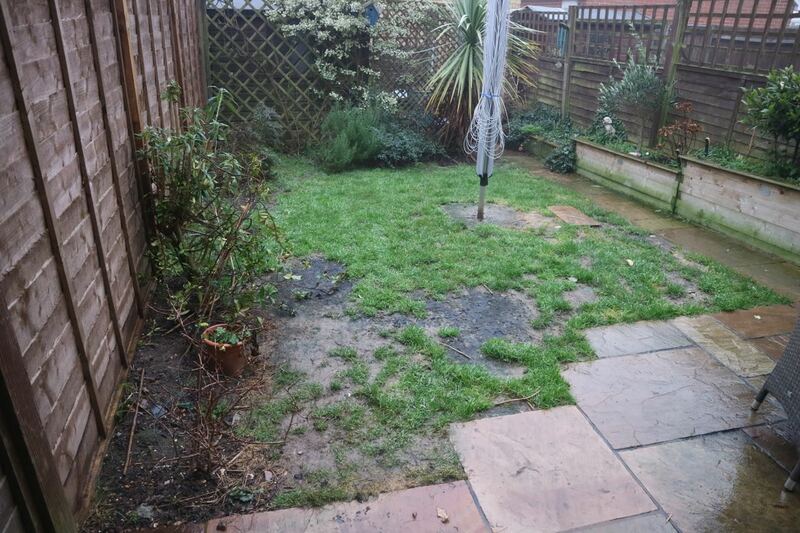 If you live in Potters Bar you can watch with delight as you see your new garden transforming before your eyes. The time-lapse video captures our artificial grass Potters Bar installation process from start to finish. The finished results as you will see look amazing, now our client can enjoy a green lush artificial lawn 365 days a year with very little effort. If your looking for artificial grass Hemel Hempstead installers then you've found the right company! Premium artificial grass are a small family run business who pride ourselves in the superior quality of the artificial lawn we supply and install as well as our excellent customer service. We have many years of experience in supplying and installing artificial grass. Dont take our word for it take a look at the fantastic reviews we have from past customers https://www.facebook.com/PremiumArtificialGrass/reviews. If your fed up of having a muddy, patchy garden lawn then we can help you have a green lush lawn all year round with minimum effort, then you've found the right company and products. Artificial lawns have come a long way over recent years and as the technology has improved so has the appearance and feel of the fake grass. artificial grass now looks extremely realistic and is soft under foot with the luxury of not having to water, fertilise or cut the grass. The biggest advantage of having fake lawn is the time it saves you, no more mowing, no more watering, no more seeding and fertilising the problem areas. You have a lovely green realistic looking artificial lawn 365 days a year with minimum effort and time. 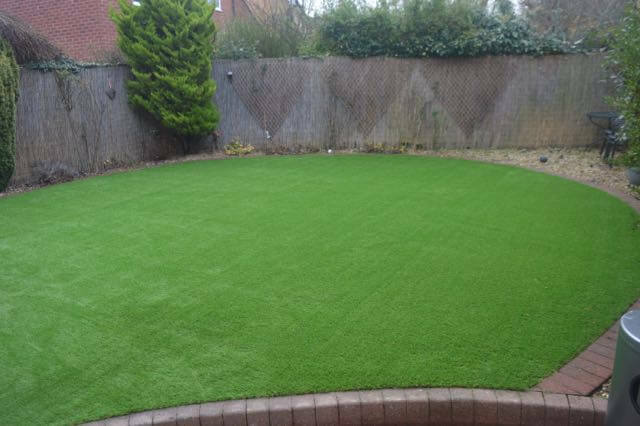 We offer a wide range of fake grass which are low maintenance, pet and child friendly and look fantastic 365 days a year. We also offer 100% satisfaction guarantee on all work we undertake and are members of the APL (Association of Professional Landscapers), the HTA (Horticultural Trade Association) and are Trust Mark approved. We cover artificial grass installations throughout Hertfordshire and Bedfordshire including Hemel Hempstead, St Albans, Hitchin, Letchworth, Ware, Harpenden, Stotfold, Baldock, Welwyn and the surrounding areas. If you would like more information on the installation process or the range of artificial lawns we provide contact us for a FREE no obligation quote on 01438 215787 or fill out the contact us for on the website. We will be able to give you an approximate cost based on your requirements and can then arrange a site survey. 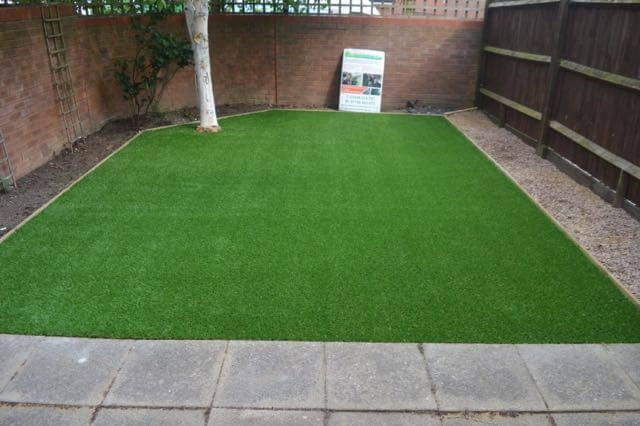 If your looking for professional artificial grass installers in Baldock from a trusted, reputable company, you’ll be pleased to know you’ve found the right place. Premium Artificial Grass will provide you with the professional artificial grass services you’ve been looking for. We have a team of professional artificial grass installers who take extreme pride in the services we offer and the products we supply. 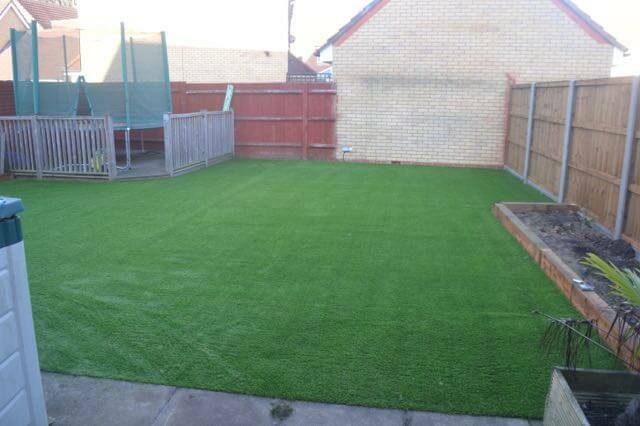 We are a small family run business located in Stevenage with years of experience in the installation of artificial grass. We are members of the APL (Association of professional Landscapers), the HTA (Horticultural Trade Association) and Trust Mark members giving you the peace of mind that we are a very reputable company and we offer 100% guarantee on all work we undertake. We have lots of very happy customers, take a look at our reviews https://www.facebook.com/PremiumArtificialGrass/reviews. Artificial lawns have come a long way over the last several years, it now looks so much like natural lawn but with out the hassle of rtegually mowing, watering and weeding the lawn. 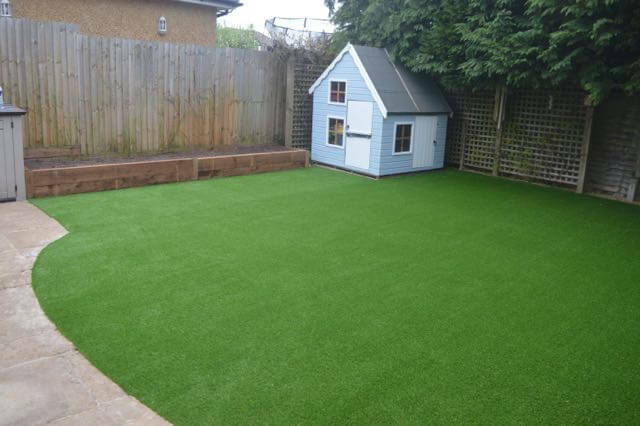 Our fake grass is a low maintenance option which looks amazing 365 days a year, it is perfect for children and pets to play on. We have just completed the biggest artificial grass Installation job in Baldock so far this year! The customer wanted a low maintenance, realistic looking lawn which was suitable for their children to play on, this is exactly what they now have and are completely delighted with it. We were lucky, the weather was kind to us.............the finished garden looks amazing and easy maintain. We cover Hertfordshire and Bedfordshire including Baldock, Stevenage, St Albans, Stotfold, Ware, Harpenden, Potters Bar, Letchworth, Welwyn, Hatfield, Hemel Hempstead and the surrounding areas. If your looking to find out more on artificial grass and the costs involved then get in contact using our easy to use contact form or call 01438 215787 where one of our office staff will be ready to take your call. When it comes to finding the best professional artificial grass installation company in Harpenden, Premium Artificial Grass are the team you want. 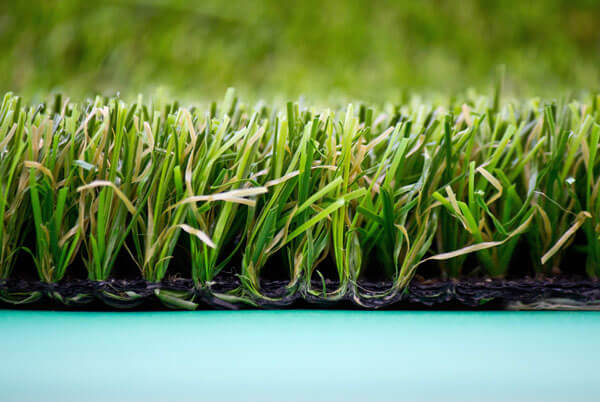 We are a company based in Hertfordshire who have been in the artificial grass industry with many years experience and take huge pride in the quality of the products we supply and the services we offer. With many years experience in artificial grass installation, you can feel confident and assured you’ll be receiving nothing but quality workmanship – all backed up by our unrivalled 100% Money Back Guarantee! 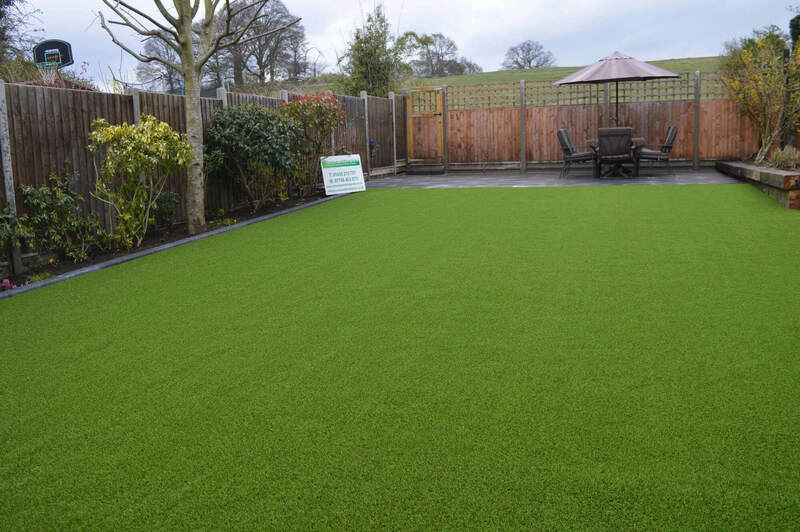 But here’s the most important part – it’s our passion to provide you with amazing looking artificial grass and our high standards of perfection which will leave you exploding with pride and bursting to show off your stunningly new installed artificial grass. 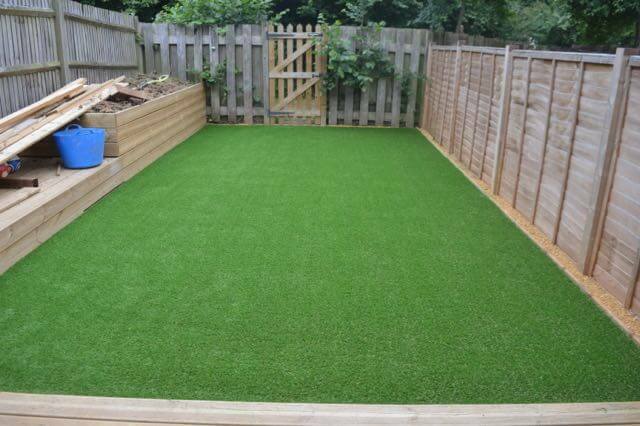 Our artificial grass is suitable for pets and children to use and extremely tough wearing. 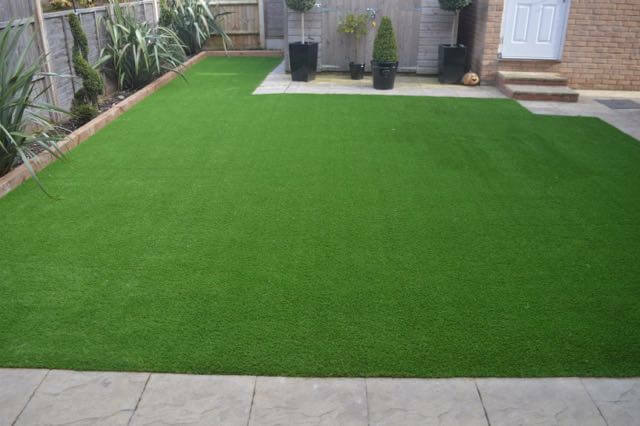 Artificial grass has come a long way over many years and now looks as realistic as natural lawn and is extremely soft underfoot with the benefit of no more muddy patches, no watering and no mowing. It looks fantastic 365 days a year. If your looking for Artificial Grass Harpenden then contact us for more information and a FREE no obligation quote, alternatively fill out the contact form and we will be in contact with you. Looking for a trusted and experienced artificial grass company to provide you with the best artificial grass Welwyn Garden City has to offer? 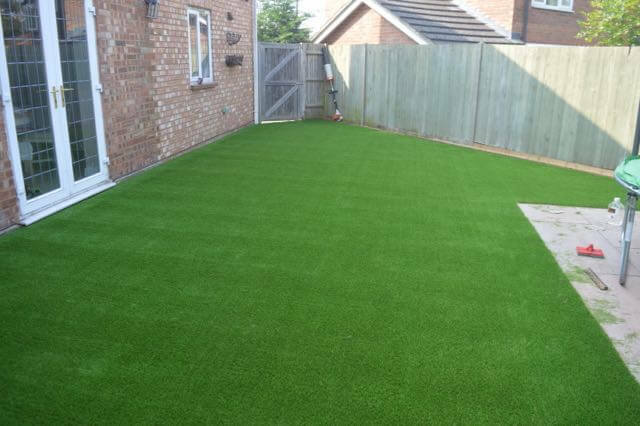 Premium Artificial Grass are a small friendly family run business who have years of experience in installing artificial grass in Welwyn Garden City. We pride ourselves on the premium products we supply and the excellent customer service and satisfaction we offer as a company. We carry out work all over Hertfordshire and Bedfordshire covering Welwyn Garden City, Stevenage, Hitchin, St Albans, Stotfold, Harpenden, Baldock, Letchworth, Ware, Hertford and the surrounding areas. We are proud members of the APL (Association of Professional Landscapers), HTA (Horticultural Trade Association and a Trust Mark members so you can rest assured that you made the right decision to choose premium artificial grass as your artificial lawn installation team. All our services come with 100% satisfaction guarantee. The time-lapse video below captures the fake grass installation process of a recent job we completed in Welwyn Garden City. You can see the process of removing the old lawn, preparing the base, completing the base and laying the artificial grass. The total transformation from the start of the job to the finished garden is amazing and all captured on a short video. If your fed up with your muddy, patchy natural garden lawn then maybe its time for you to find out more about artificial grass and what we can do to help you. Our artificial grass and installation prices are all dependent on garden size and your requirements If you would like to get an estimate of the total cost of artificial grass, please give us a call on 01438 215787 or fill out our easy to use contact form. We can arrange a survey of your garden for an accurate quote and to discuss your requirements - this is a FREE no obligation quote to use contact form or call 01438 215787. If your looking for professional artificial grass installers in Ware from a trusted, reputable company, you’ll be pleased to know you’ve found the right place. Premium Artificial Grass will provide you with the professional artificial lawn services you’ve been looking for. 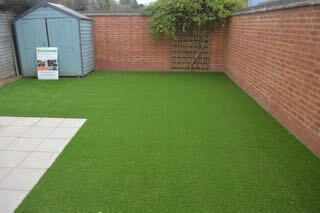 This is a testimonial from a very happy customer based in Ware whos garden we installed fake grass for. The customer wanted a low maintenance, realistic looking lawn which was suitable for their children to play on, this is exactly what they now have and are completely delighted with it. We the finished garden looks fantastic and its so easy to maintain. We cover Hertfordshire and Bedfordshire including Ware, Stevenage, St Albans, Stotfold, Ware, Harpenden, Baldock, Letchworth, Welwyn, Hatfield and the surrounding areas. If your looking to find out more on artificial lawn and the costs involved then get in contact using our easy to use contact form or call 01438 215787. If your looking into having Artificial Grass in St Albans or want to find out more about artificial lawns it then you've come to the right company. 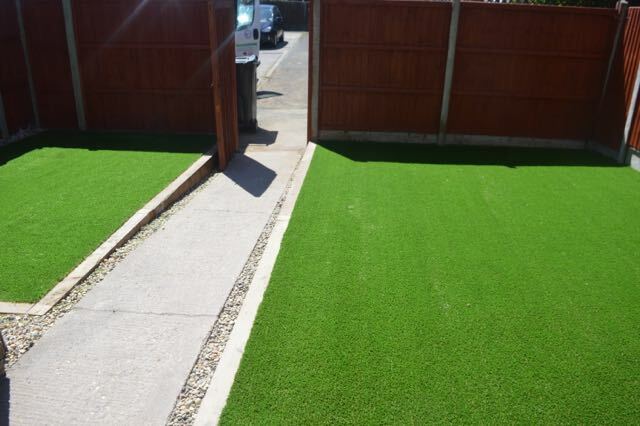 Premium Artificial Grass are a family run businesses who pride ourselves on the quality of the artificial lawn we supply and the services we offer. 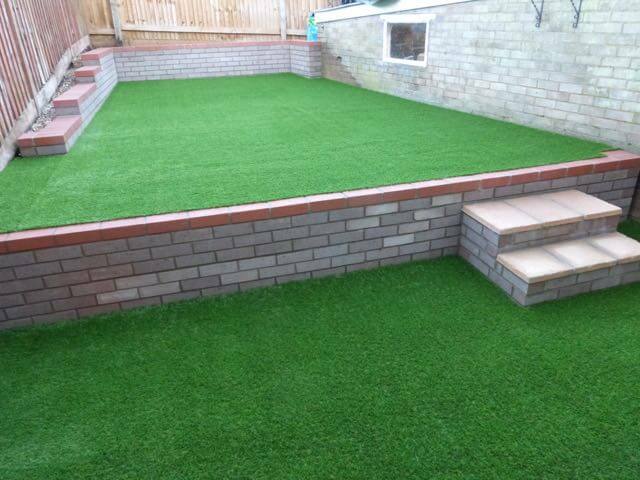 We have vast experience of installing fake grass to both commercial and domestic clients. One of the main questions our clients ask themselves before contacting us is: Why should they change from natural grass to artificial grass? On those hot sunny days with rain showers, the benefit is really clear - no mud on the kids' shoes or the pets paws when they are chased in by the rain: your lawn looks beautiful, without you having to spend time mowing, feeding or (when the rain stays away for a few days) watering it. Artificial lawns are great for children to play on, extremely robust and soft to touch. Your children will love the fact that they can practice and perfect their football tricks in the sun or rain and still stay mud free. Premium Artificial Grass covers the St Albans area with may very happy clients already. We offer 100% satisfaction guarantee on all work undertaken. 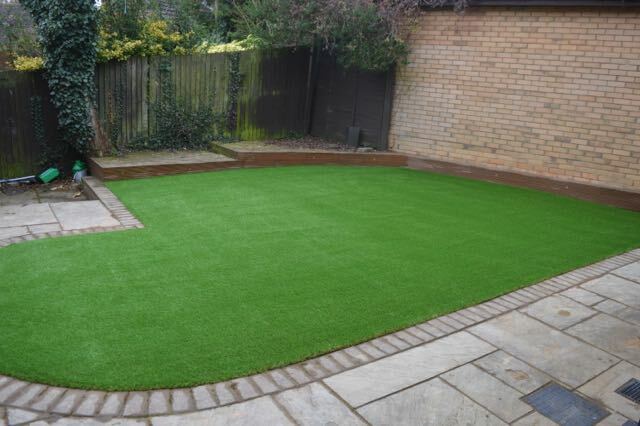 All our artificial lawn supplied and installed is pet friendly, looks very realistic, luxurious and a low maintenance option for lawns which look great 365 days a year! Contact us for a FREE no obligation quote on 01438 215787 or complete the contact form and we will get back to you. Installing Artificial Grass Stevenage - Watch the Video below to see the transformation! If your looking to replace your old natural lawn with a premium artificial grass then you have found the right company. Here at Premium Artificial Grass we supply and professionally install artificial grass Letchworth. We are a local family business (not a franchise) with a wealth of knowledge in artificial grass and the correct installation methods. I first got involved with artificial grass (or ‘AstroTurf’ as it’s known in America) when I worked in the U.S.A in 1994. Since then artificial grass (and installation methods) have come on leaps and bounds. Now you can have a brand new artificial lawn that looks and feels realistic, and will totally transform your garden to look amazing 365 days of the year. 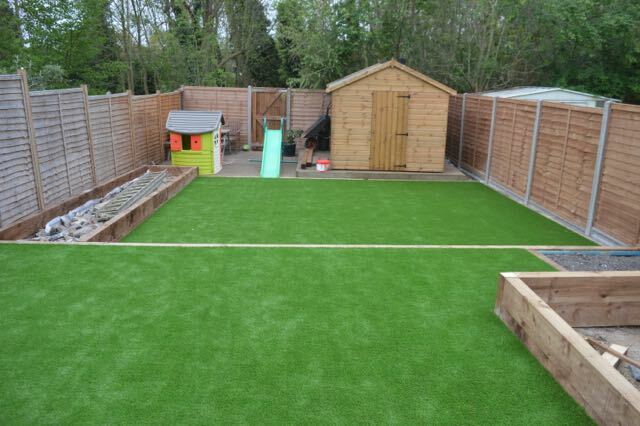 Our artificial grass is both child and pet friendly, there’s no more mud, no more watering or patchy grass, and it’s such low maintenance you will be the envy of your neighbours! Making the choice to have an artificial lawn will be one of the most time saving decisions you can make in the garden. Most gardens have areas where the natural lawn just wont grow or cant grow, the money and effort you have put into trying to get the lawn areas green has gone to waste! Not with fake grass, it will mean you’ll never be disappointed when you look out, or feel your efforts have gone to waste, as your lush green lawn is mud free and looks good 365 days a year, as well as being resistant to bad weather and pet friendly. Our artificial grass and installation prices are all dependent on garden size and your requirements If you would like to get an estimate of the total cost of artificial grass, please give us a call on 01438 215787 or fill out the contact form. We can arrange a survey of your garden for an accurate quote and to discuss your requirements - this is a FREE no obligation quote. If your looking to find out more about Artificial Grass St Albans then you've come to the right company. 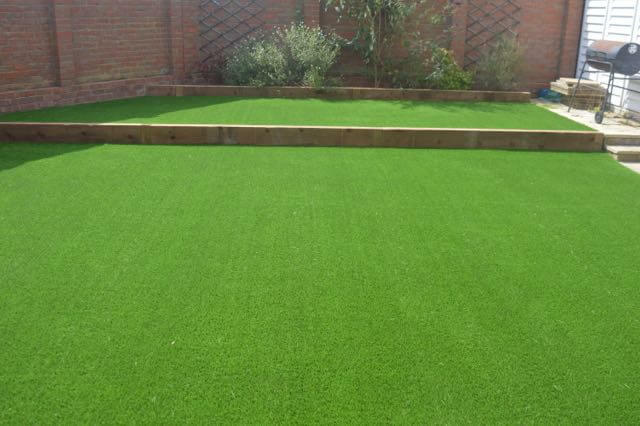 Premium Artificial Grass Supply and Install Artificial Grass in the St Albans area with a range of Artificial Grass's to suit most peoples requirements. We are a family run business who have many years experience in the Artificial Grass industry. We pride ourselves on the quality of the products we use and services we provide. Artificial Grass provides just as many landscaping opportunities as traditional grass; maybe even more!. Over recent years manufactures have taken huge strides in making artificial grass look just like natural grass. 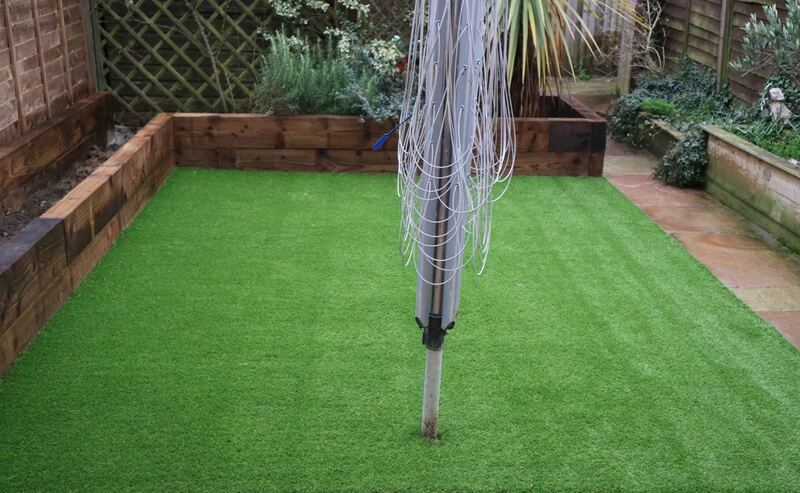 The best thing about Fake Grass is that it can cover garden areas where natural grass wont or cant grow. 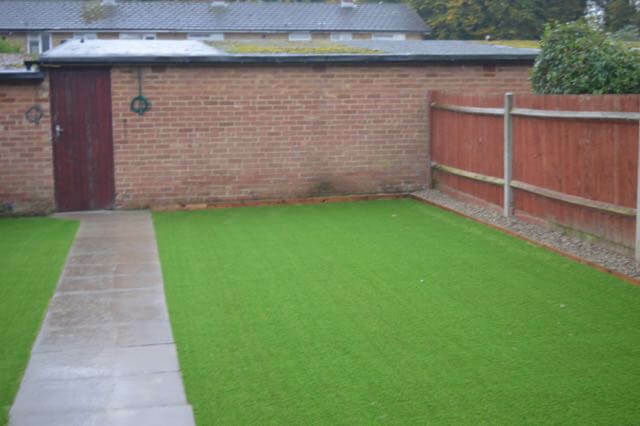 Artificial Grass can also safe for use in outside areas which pets use. 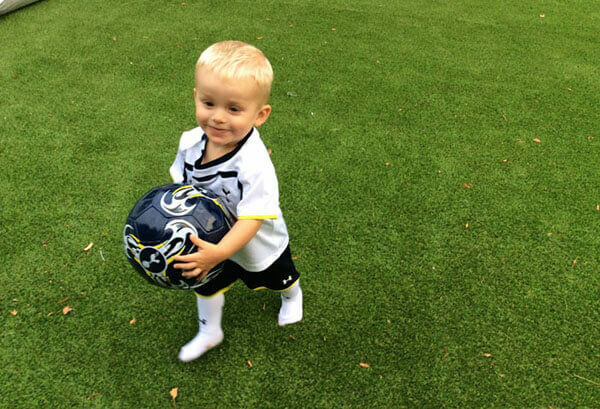 For homes with children, artificial grass can be used to create a safe play areas outside. Artificial Lawn is tough and resilient and will take just about any punishment your children can deal out. If your looking for natural looking and feeling Artificial Grass in St Albans and would like a FREE no obligation quote please use the contact form or call 01438 215787 where one of our team would ready to help you. 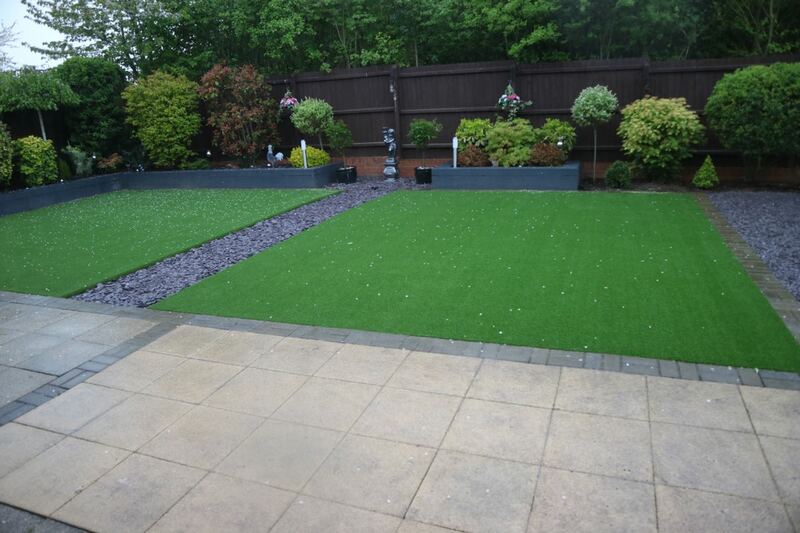 Premium Artificial Grass Comparison of Artificial Grass and Installation by a Competitor! If you think all Artificial Grass companies are the same then watch this!!!!! This is a short video on A) How to lay Artificial Grass and B) How NOT to lay Artificial Grass....this comparison (side by side) of two different artificial grass companies work will highlight the differences between installation methods, quality of artificial grass, joining, cutting in, securing. etc. When considering artificial grass make sure your rights are fully protected so you don't end up with sub standard work and are left un-happy. We offer a 100% satisfaction guarantee certificate (find another tradesman who prints that certificate out for you?!! ), and are only one of a handful of purely artificial grass companies in the country who have the 'TrustMark' Government backed affiliation. We are also members of professional bodies such as the APL (Association of Professional Landscapers and the HTA). We are that confident in doing a fantastic job that we go above and beyond to help give you that peace of mind so there is absolutely no risk of poor workmanship....just read all our reviews! Premium Artificial Grass are again proud sponsors of the Stevenage Goalkeeper Chris Day. 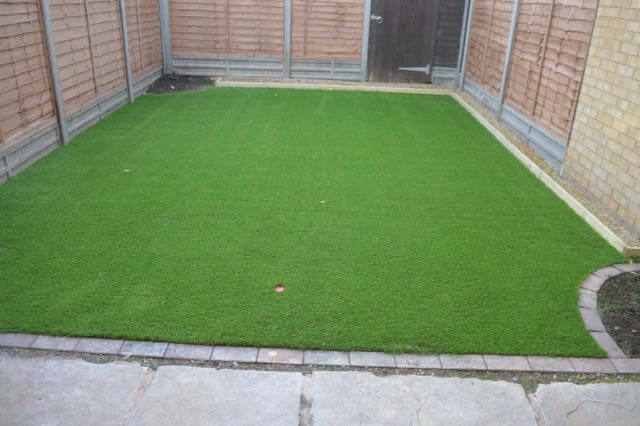 Chris has our UK Galaxy grass installed and says ' Its such a great grass, perfect for my dog, and looks very realistic'. Good luck for the season 'Daisy' , and many thanks for your kind words! We also have a signed top which will be giving away to one lucky fan...keep checking our latest news for more info. We are specialists in maintaining, sanitising and protecting your artificial grass. Choose from either our 'Bronze, Silver, or Gold' service and we will bring your grass back to the best condition humanly possible! With our high powered petrol power brush, to our silca sand spreader, pneumatic air compactor and our own artificial grass sanitiser we really do have the expertise and professional equipment to sanitise your lawn, and get rid of any nasty smells. Visit our 'maintenance' page for prices and further details. We also sell our cleaner/ sanitiser so you can easily get rid of dog wee smells yourself!